After our terrifying escape out of Myanmar, a 30 hour commute, overnight bus ride, and 2 flights, to go about 400 miles, circumventing the closed border, we arrived in Chiang Mai, Thailand. The second largest city in Thailand, Chiang Mai is very different than Bangkok or the bustling beaches of southern Thailand. Still popular, Chiang Mai is different, instead catering more to the cultural crowd rather than the raucous party crowd. Based on a number of recommendations we had gotten from other travelers, after arriving in Chiang Mai, we immediately hopped on a bus and headed 3 hours north to Pai. Pai is famous for the harrowing 762 curve road connecting it to Chiang Mai, but the ride is worth it, as you arrive in a beautiful valley, filled with waterfalls, natural hot springs and plenty of chilled out backpackers. 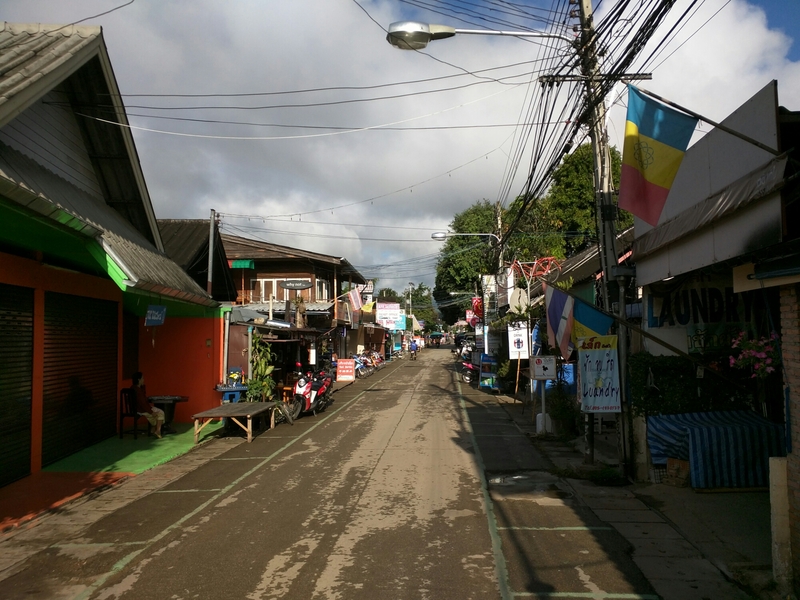 Pai is a small town that’s pretty sleepy during the day, but it comes alive at night. The two main streets close to cars, and are instead filled with food carts and local artisans. The night market was the highlight of our trip to Pai. So sketchy Durian. A one time extravaganza. One night while walking in the night market, we finally worked up the courage to try the infamous king of fruit, Durian. It is expensive, $4-$5 for a small piece, it smells like a baby’s diaper, it has the consistency of warm brie and tastes like sour caramelized onions, it’s not for everyone. It’s not for us, but it is worth trying. After a few days in Pai, we headed back to Chiang Mai. 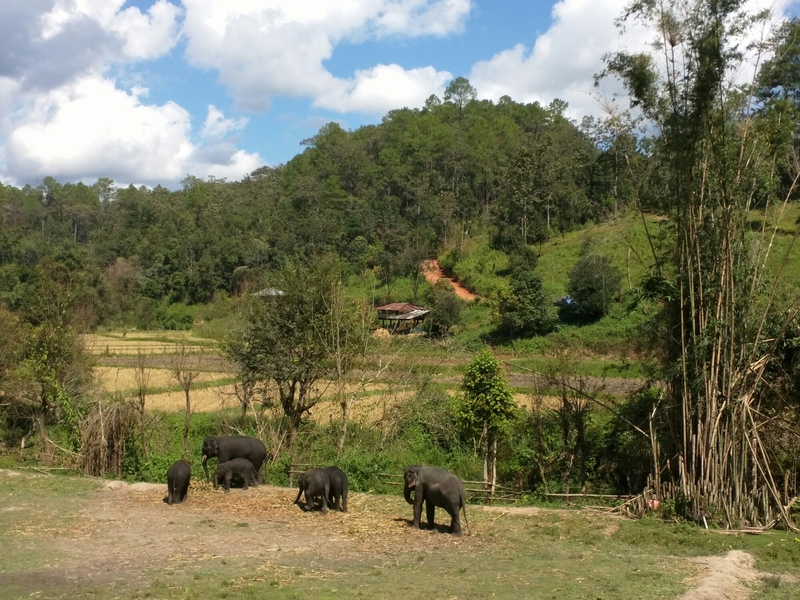 Chiang Mai is regarded as the culinary capital of Thailand, part of the reason we headed here. While there are plenty of restaurants in Chiang Mai, true gourmands, head to the street carts that line the old squares at night. You can find everything from Thai favorites like Pad Thai and Pad See Ewe to more exotic dishes like fish ball soup and I think our favorite and most often ordered dishes were som tam; green papaya salad, larb; ground pork salad, and Kristin’s jam mango sticky rice. 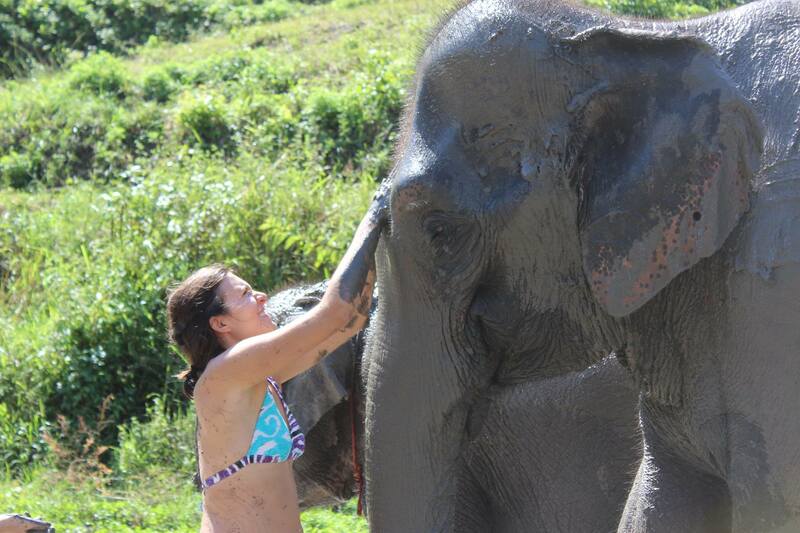 One of the most popular activities in Chiang Mai is visiting an elephant camp. Elephants have been domesticated and used as working animals here for over 1,000 years. 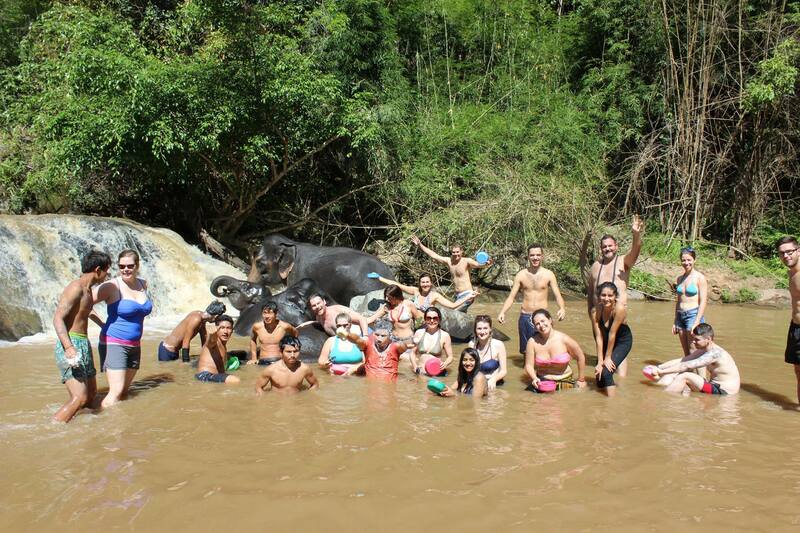 Many of the surrounding hills contain camps where tourists can go and spend a day with elephants, we choose one that got us up close for a feeding, a mud bath session and a visit to the river for a cool afternoon swim. This was one of the most memorable things we’ve done our entire trip. 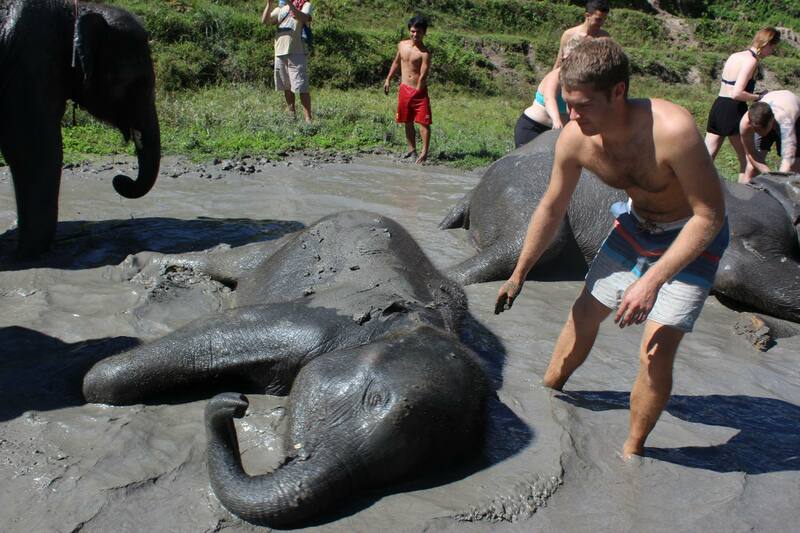 After spending the morning with elephants, Kristin treated herself to a trip to the spa in the afternoon. While massages are very common, we’ve gotten at least 10, and cheap usually $4 – $10 and hour, this was a true spa experience. We would definitely recommend paying a few extra bucks and treating yourself to a luxury spa in Chiang Mai. Kristin’s package got her a Thai herbal steam treatment, a cereal scrub, a Moroccan mud wrap, an hour oil massage and a 45 min facial. This 4 hour, 5 star spa experience cost about $150. 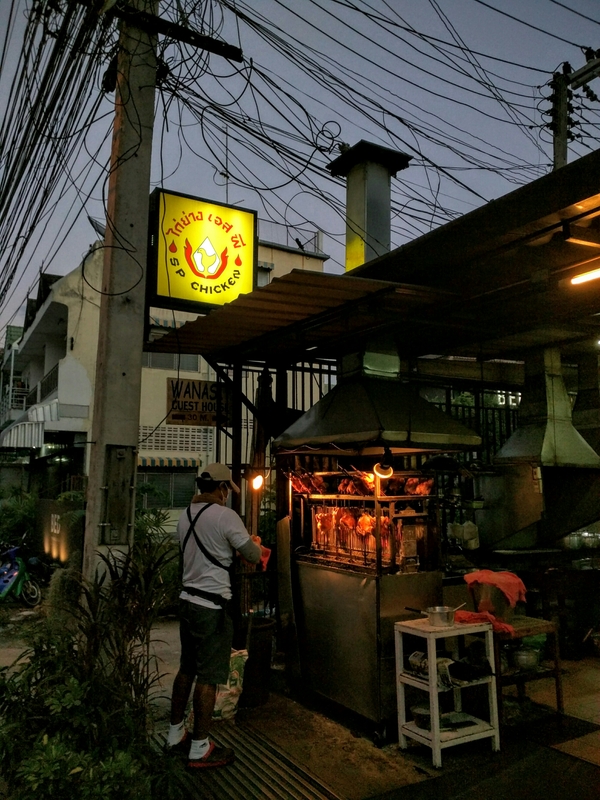 We finished our trip with a visit to a famous rotisserie chicken vendor, who serves what some consider to be the best rotisserie chicken in Thailand. Ours was over cooked, couldn’t compete with the best we’ve ever had which was in Bocas del Toro, Panama.